We have this huge concrete bunker of a basement/second garage - (I will say we have a house that MMM would face punch us for multiple times. But we can afford it and when our kids finish high school, we are aiming to downsize - our town is small and all homes expensive, so it is not worth the hassle/moving cost to do it yet - the MMM style is coming gradually to us...). But I want to turn this concrete monstrosity of a basement - it is about 45 x 30 with 14 ft ceilings - into a fun space, maybe with a barn style feel to it. It now has bare concrete walls and overhead flouroescent lighting and some wall framing around heating equipment. The kids have had an indoor trampoline, basketball hoop, soccer nets, ping pong, weights, corn hole all in this space - you name it. It is actually a sight to behold, being so large but without any posts or columns. And it was part of the reason we bought the house - it was the nicest bank-owned house I'd ever seen. The prior owner must have spent a fortune on the basement alone (he was foreclosed on in the aftermath of 2008) as he used it to store and care for antique cars. There are floor drains, hot/cold water access, etc... And we have a more typical regular basement for our dwindling amount of "stuff"
And, behold, you have (non osha approved) scaffolds. I do this all the time for projects around my place. Get 4 ladders, and more boards/plywood and make work platforms. As for how I learned, I just started doing it. Buy a book on framing, and one on electrical, and one on plumbing. Figure out what you want to do, and read through those books on how to do it. I found the books at lowes, and they were easy enough to understand. Refer to your area's prescriptive code for span tables on joists and such. Thanks for info, especially those ladders. I was dragging my feet on true scaffolding since it is pretty specialized and wasn't sure how much it would get used. But those appear to have far more utility. Before I tackle something new, I generally spend a half hour watching Youtube videos on the subject. For generalized knowledge that got me started in fixing up houses myself, I have relied upon watching years of "This Old House" and "Ask This Old House". There are tons of videos online and entire seasons of the show can readily be obtained. Other television resources that I have watched are "Hometime" and also "Home Again". This guy has several videos on YouTube and also has a great set of instructional videos for sale. He assumes you don't know much and walks you through the whole process and project. Well worth the money. You might try some creative painting and or staining the concrete to give it the warmth you're looking for. Of course a few fake beams would add to the ambiance, you could save a lot of money and still get the barn effect. Yeah - the Home Depot book on home repair (or the Readers' Digest one if you can still find it) is great for getting the basics down. Just enough info to get you started. Then buy some nails and a hammer and knock some boards together. After a while you will figure out what is good and what isn't. Don't think that any of this stuff is beyond you. You may not be able to put in the hours to become as proficient as the pros are, but you can you can become damned good with just DIY work. The pros put in a lifetime of learning, but only have 6 months of school. Its teh doing that makes them as good as they are. Don't expect pro results on your first try. As for tools, HD/Lowes will try to convince you that you need all the biggest and best. Get cheap crap to start. you are going to screw up. You can screw up twice as accurately with good tools as cheap ones. For basic framing and trying stuff out, don't spend big money. once you get somewhat proficient, you will have a sense of where to spend and what you need, then buy the tools that you need most. A router, a shaper, and a dado blade in a table saw can all cut a rebate - only you can say which tool is best for you, and only after you've given it a go. I grew up in a do-it-yourself household, so I already had some skills, but I got a lot of benefit from doing google image searches for design and watching design videos on youtube. Once you get the creative juices flowing and have some ideas of what you want the end result to look like, it can be much easier to learn how to go about building things. Some general design styles are: rustic, industrial, modern, contemporary, traditional, brutalist, scandanavian, japanese. Then you can combine the words to get different takes on things, i.e. rustic modern, industrial contemporary, etc. 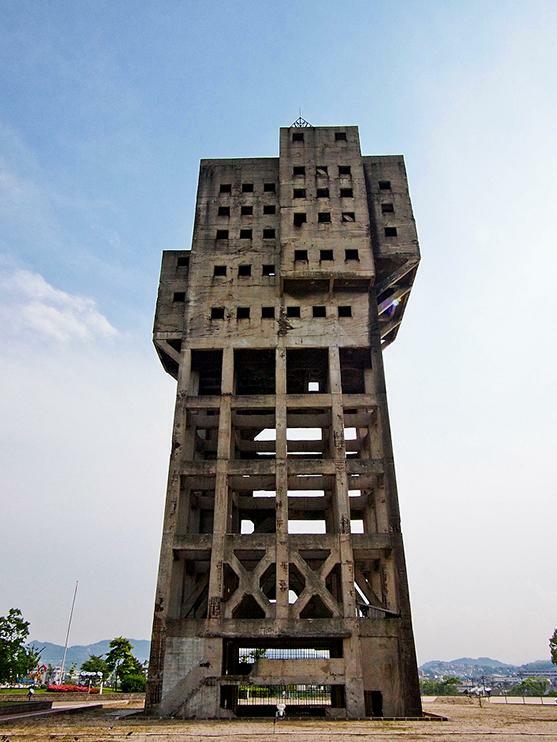 Surprisingly, doing a google search on "japanese brutalist" did not cause trauma or burn my retinas out of my head. Nobody mentioned it, but Habitat for humanity is good for learning to. My local one you can view the calendar that shows what task will be taking place on what days and sign up for 6 hour segments. I did this here and there for a year, 6 hours of every major task and you will be able to construct your own house... lol. Do some research and some 'book learning' first but really you just have to jump in and cut some wood. Get an idea what you are doing then just start, in a lot of cases the worst case is you wasted 100$ worth of wood while learning how to do it the right way. I tend to want all levels of a project 100% planed out before starting and have to tell myself to just start and figure this out as I go; a good plan today is better than a perfect plan tomorrow. This is my strategy as well. Except I'll probably spend a good hour or two on Youtube videos to get comfortable with various approaches. I don't consider myself a "handy" person. No upbringing or education in this stuff at all. -Every time I priced things out (assuming 25-50% error rate), and paid myself about $50/hr, and it STILL cost me 1/4 or less of what it would have cost to have a professional due these things. I would strongly suggest against those Harbor freight ladders suggested to replace scaffolding. OSHA does not allow them for use on commercial and industrial projects for good reason. They are unsafe. Use real scaffolding where scaffolding is warranted, and good fiberglass step ladders where warranted. Last thing a doctor needs to do is get injured on his home remodel project and not be able to work his real paying job. At my current project, the previous owners left behind a unit of industrial racking. I put plywood on it and used it as scaffolding. Was it ever great for overhead work. I highly recommend the scaffolding idea.